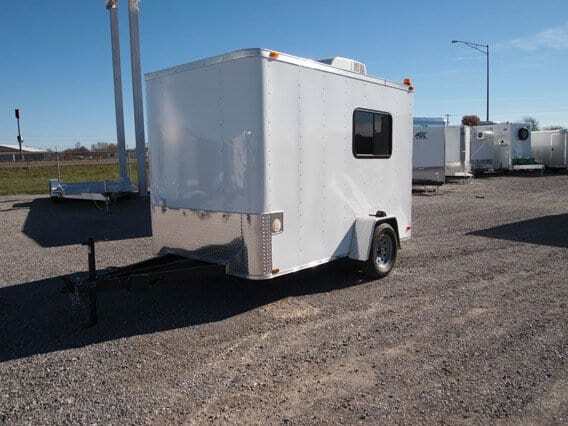 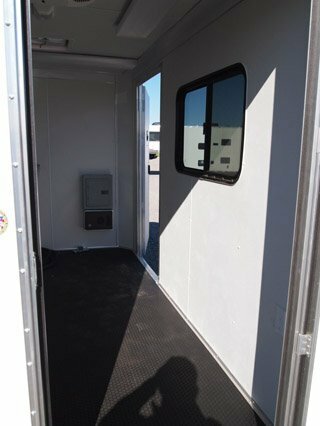 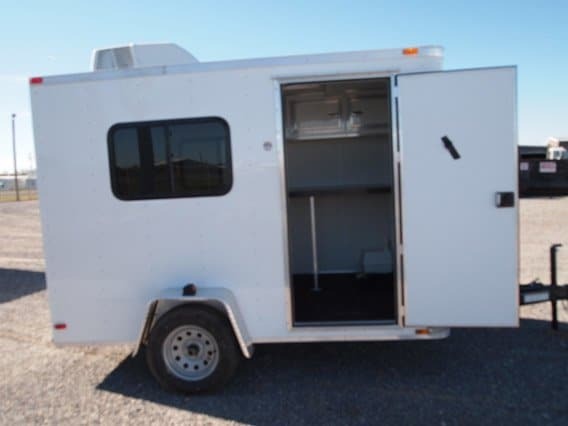 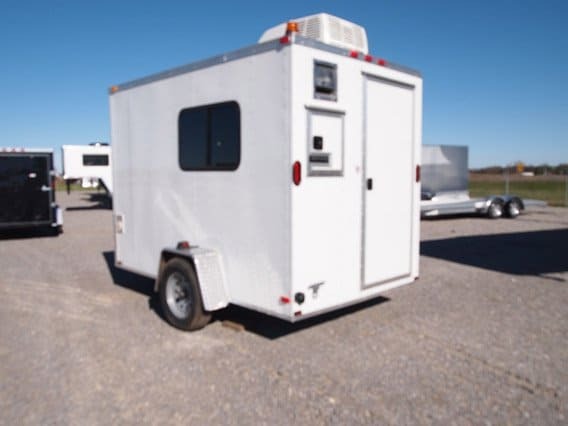 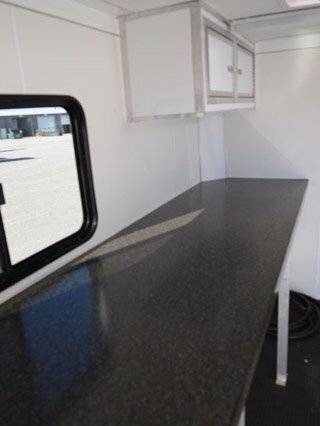 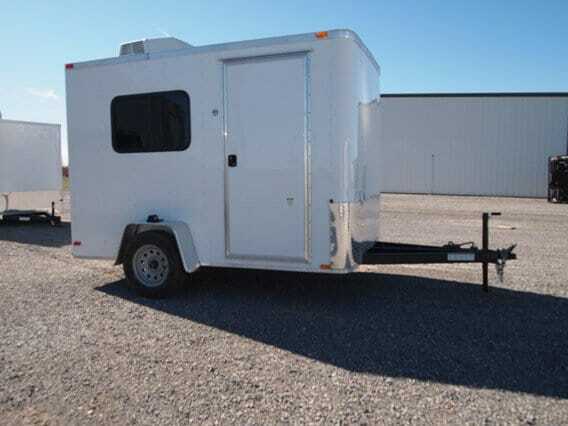 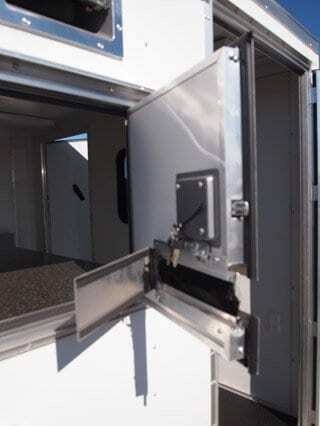 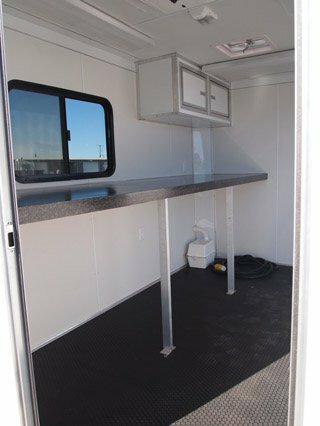 This trailer includes 16×18 cable entry door w/ brush seal, side and rear entry door, strobe light, flood light, interior counter, overhead cabinets, heat, AC, insulation, windows, and 50 amp electrical package. 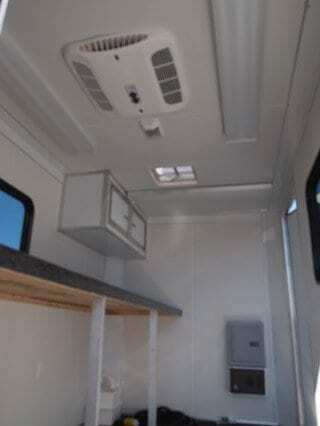 Interior Height is 6’10”. Add a Honda EM5000 Generator and Aluminum Generator Box for $3,900.